For discerning media productions, Glanusk Estate in South Wales provides a one-of-a-kind unqiue premium location of choice. 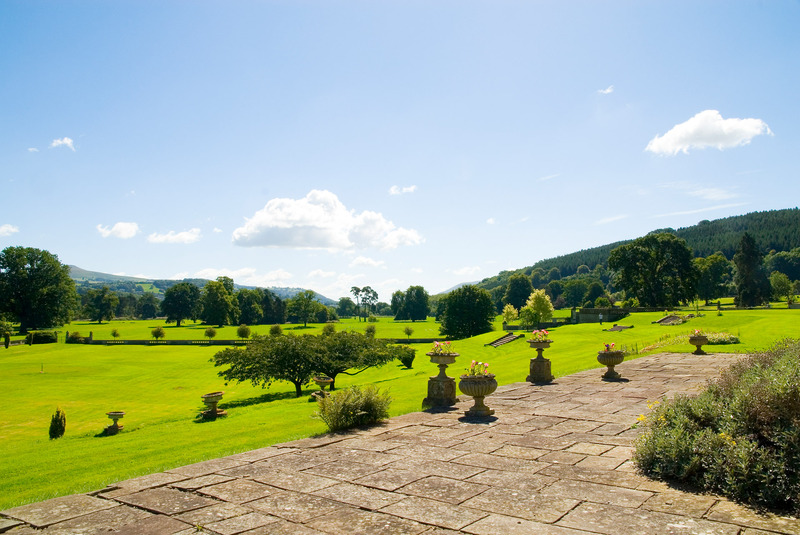 Situated in the beautiful countryside of the Usk Valley in the Brecon Beacons National Park, it is one of the largest privately owned Estates in Wales. The Estate’s is made up thousands of acres of land of diverse forestry, hills, 400 acre parkland, historic architecture, cottages and mature gardens, and a 5 mile stretch of the River Usk. It is totally private and has additional completely enclosed areas. Historic buildings and landscapes offer a wide range of locations, and plenty of space for parking and unit set ups for large or small shoots. The Estate Yard and Stables have hard standing for a filming base, with covered areas for eating and indoor spaces for production team. The Estate has been in the ownership of the same family since 1826 when Sir Joseph Bailey, purchased the original site and built a mansion. Glanusk Park and Estate is privately owned and run by Harry, Iona and The Hon Dame Shân Legge-Bourke DCVO Lord-Lieutentant for Powys. The Official Photographer Of Glanusk Estate, Daniel Moncur-Sime will discuss all your needs and consult with you to arrange a private tour of the estate. The Estate consists of 400 acres of private parkland, 800 acres of forestry, 3,500 acres of lowland and hill farms, the Park and forestry, 16,000 acres of Common Land hills and 5 miles of the River Usk. There are many historic buildings remaining, including the Tower Bridge over the River Usk, ancient Celtic standing stones, the private chapel, farm buildings and stables, all either Grade II listed or Grade II starred. The Estate is renowned for its trees which include over 200 different species and cultivars of Quercus (oak). Penmyarth is the private Georgian home of the Legge-Bourke family, on the estate. With multiple reception rooms, drawing room, various bedrooms and bathrooms. Steeped in history and furnished with ancestral antique furniture, numerous paintings and period furnishings, this makes a location that is suitable for many types of productions. The gardens are mature and manicured, with a wide vaierty of flora, fauna and landscapes. Open lawns, rose gardens, sunken gardens, ponds are all surrounded by panoramas of ancient rolling Breacon Beacons. Photographically, a fantastic room for loaction filming, moody natural lighting and shadowless areas make for location capable of multiple scenes. Found next to each other on Glanusk Park, they can both be used as locations and for accomadation. Within the walled garden of Garden Cottage, is the Glasshouse, another unique location scene and even licensed for weddings.